Why we love it: Even out skin tone, enhance radiance and smooth skin texture, all while diminishing fine lines and wrinkles. 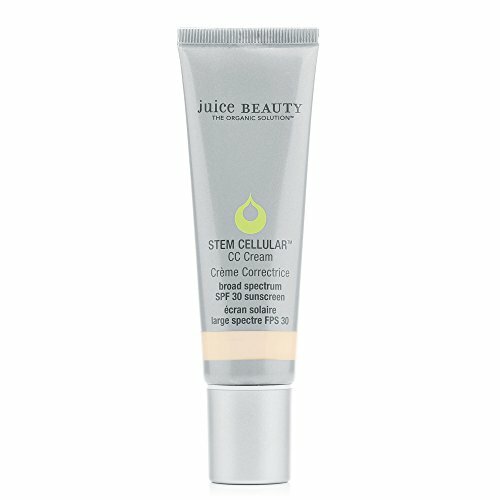 This CC Cream from Juice Beauty is a powerhouse of natural skin benefits. With skincare and makeup combined, this unmatched formula offers skin perfecting color, sheer to medium coverage, sun protection, anti-aging benefits, hydration and a glowing complexion all in one tube. Ideal for all skin types, you’ll want to give this one a try! Apply to clean skin, using cleansed fingers and blending outwards. Available in 5 shades. Formulated without parabens, animal products,petroleum, propylene or butylene glycol, sodium lauryl sulfates, pesticides, phthalates, artificial dyes or synthetic fragrances. Juice Beauty products are never tested on animals.